Migrating to Canada from Italy in 1957, Mario Bassi began working immediately in the masonry business in Ottawa, Ontario. As the family patriarch, Mario set the tone for the path of Bassi Construction over 55 years ago. His hard work and dedication quickly earned him a reputation in the industry for craftsmanship and reliability through nothing more than word of mouth. As the demand for Mario’s talent and work ethic grew, in 1963 Bassi Construction was formed. Mario soon led his own group of craftsman taking on larger commercial projects without ever losing his attention to detail and commitment to quality. 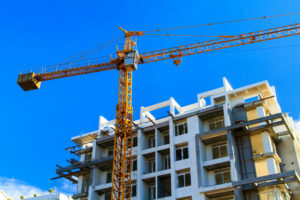 It is these standards that were the building blocks for the solid foundation on which Bassi Construction rests today. His unwavering commitment to quality and traditional values continues to permeate the offices and culture at Bassi. Be it an insightful piece of business advice or a home cooked meal for a weekly boardroom gathering, Mario’s contributions and generosity continue without hesitation as the founder of Bassi Construction. What sets Bassi apart is our work ethic and the special relationships we have built with our regular clients over the past 55 years. Honor and commitment are the foundation of our business with each and every client. As an ever evolving / adapting company, Bassi Construction felt it would further advance our client offering line to enter into a partnership agreement in 2016 with Mosaic Capital Corporation. Mosaic Capital is a Canadian investment company that owns a portfolio of established businesses which span a diverse range of industries and geographies. Mosaic’s strategy is to create long-term value with their partners. Bassi continues its legacy of being a trusted, reliable partner to many local, regional and national property owners and managers as it continues to expand its service offering and geographic footprint. 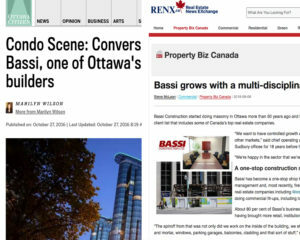 Now branched into four ever expanding divisions; Tenant Fit Up & Renovations, New Construction & Additions, Restoration and Fire & Flood, Bassi Construction will continue to thrive by successful reputation and word of mouth.